Flexspec Fixed-Site System - Bubble Technology Industries Inc. 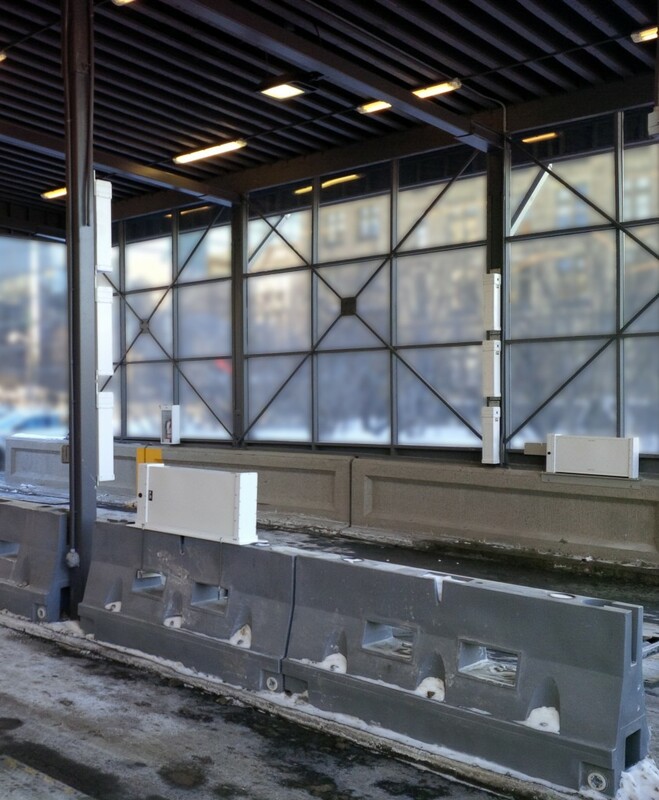 The FlexSpec Fixed-Site system is a state-of-the-art, fixed-site radiation detection system which provides high-sensitivity gamma and/or neutron detection for screening vehicles, people, and packages at key checkpoints or ports of entry. 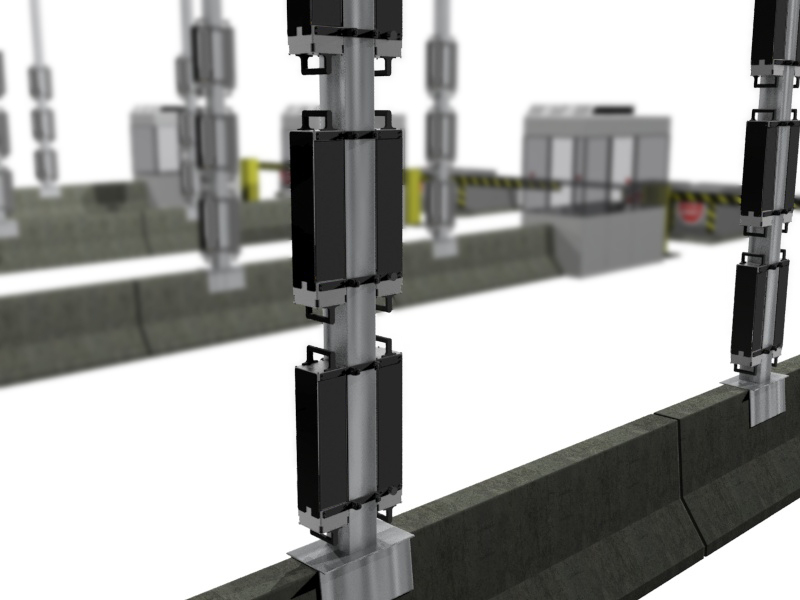 The quantity and configuration of detectors, as well as mounting approach, can be easily customized on a FlexSpec Fixed-Site system to accommodate installation at various sites using new or existing support structures. The system provides rapid and reliable isotope identification and alarm categorization, using proven analysis software and an easy to use software interface, as well as secure, remote operation through authorized, web-enabled smartphones or tablets. 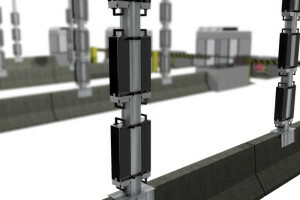 Optional supervisory software allows multiple fixed-site systems to be monitored or controlled from a single supervisory computer connected over a network. Gamma Sensor Each standard sensor includes a 2” x 4” x 16” NaI crystal with an energy resolution better than 8% at 662 keV. Standard gamma detector, including weather-proof enclosure, is 6.5” x 7.5” x 26” and weighs 52 lb. Neutron Sensors Standard neutron detector, including weather-proof enclosure, is 6.5” x 17” x 36.5” and weighs 95 lb. The sensitivity is ≥ 1.4 cps/ng for moderated Cf-252 at 2 m. Compact neutron detectors are also available; they measure 6.5” x 14.5” x 31” and weigh 77 lb. Neutron sensors do not require He-3 gas; however, He-3 detectors can be accommodated if desired. User Interface Software operates on a laptop or desktop (Windows 7, 64-bit) and provides visible/audible alarms. System provides proven spectroscopic isotope identification and alarm categorization (threat, industrial, medical, NORM). Includes information on location of source with respect to vertical height. Remote Operation Connects to authorized, web-enabled smartphones or tablets through a secure Wi-Fi network, enabling the primary operator or additional users to view/operate the detection system at a distance. Optional supervisory software allows multiple systems to be monitored or controlled from a single supervisory computer connected over a network. Reachback Wired or wireless (3G/4G LTE cellular) Internet connection enables system data and alarm reports to be rapidly sent to reachback centers. Software automatically populates key fields for US DHS Joint Analysis Center (JAC) reports, or other reachback reports. Data output in ANSI N42.42 (2012) format. Power 100 – 240 VAC input range, 24 VDC output. Temperature Range Operating temperature -30 ºC to +55 ºC (-22 °F to +131 °F ). Storage temperature -40 ºC to +70 ºC (-40 °F to +158 °F ). Auxiliary Equipment System can support breakbeam occupancy sensors and IP/network cameras. 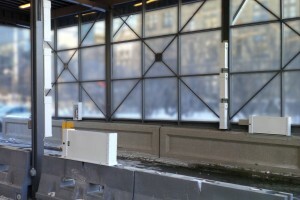 System can also be integrated with other commercial vehicle screening systems.